Your twenties are about discovering who you are, or working out who you want to be. But in your thirties, you can very quickly rack up more separate identities than a millennial ‘slashie’. Career-man-slash-husband-slash-father. Somehow you have to blend them all into one coherent wardrobe while at the same time clinging onto your fading youth and physique more desperately than a Rolling Stone. On the one hand, you have more money to spend, and a respectable wardrobe already pre-assembled. On the other, there’s a chance you’re a slave to a mortgage, are married, have children, or a combination of all three. At this midlife crunch point, many guys either give up altogether, or stubbornly continue to dress like the teenagers they wish they still were. But it’s possible to grow up stylishly without also growing old. So dabble less in single-season trends and stick to the staples with a proven track record. Because indiscretions in your twenties also tend to be less costly. By now, you’ve hopefully rounded out a fully functioning wardrobe, even if just with inexpensive placeholders, so you shouldn’t need to buy any more clothes. Instead, put your garms budget towards fewer, spendier purchases – even if that involves saving for a few months. “Buy less but buy better should be your maxim at this age,” says Kemp. The idea is to gradually upgrade the items in your rotation with versions that will look better and last longer. The exception or addendum to the above is that completing your wardrobe is not the end of the game. As well as upgrading your level, you should add expansion packs in the form of extra versions or variations of the things that you wear most often. “Now’s the time to cultivate some favourite staples,” says Kemp. “You should be on first-name terms with your denim brand and cut of choice. Ditto for T-shirts.” Achievement unlocked: this is your ‘signature style’. If you’ve managed to ward off early onset dadbod, then you might still be able to pull slim off, or rather on. But irrespective of the logistics, there’s something impoverished, even infantilising about too-skinny clothing past a certain age. Embrace the maturity of relaxed-tapered jeans, wider lapels and tailored jackets that actually cover your behind. Not only do they make you look like a grown up, but you won’t grow out of them either. One of the most effective things you can do for your style as you decay is to stay in shape. We’re not trying to bodyshame anyone, nor do you have to be more stacked than an OCD gym attendant’s weight plates. The inconvenient truth is that most stylish men in the public eye are, if not buff, then at least trim, and most clothes will look good on them as a result. Daniel Craig wouldn’t still be 007 at 49 if he couldn’t get into his dinner suit. Being too old to push the boat out fashion-wise doesn’t mean that you have to dock the style ship altogether. But it is about letting fits and fabrics speak to your credentials instead of shouty styles, colours or labels: less Supreme, more Supima cotton. “You want people to compliment the cut of a jacket or its material, not its reflective panelling,” says Kemp. Then by the time that smart-casual starts to occupy your waking thoughts, you’ll already have it nailed. In your twenties, there’s a clear divide between the rest of your clothes and tailoring, whether that’s the one suit you wheel out for special occasions or the two or three that you cycle through for work. In your thirties, that distinction gets blurrier than the bottom line on your sight test. Suddenly the description of a blazer as an ‘essential’ makes sense, as does the concept of buying a suit that might never see the inside of your office cubical. There will be weddings. Lots of weddings. That’s to say, less rigid or padded than the suit jackets you’ve been used to, cut slightly shorter (we said ‘slightly’), and made from a nubbier, mattified fabric that will hold up better alongside jeans and chinos. Throw it over a T-shirt or Oxford shirt and then stick a fork in smart-casual: it’s done. Again, structured and therefore smart enough for work and weddings, but not so stuffily bulletproof – or long – that you can’t wear it with jeans or even joggers. Indeed, depending on the occasion and temperature, an overcoat can take the place of a blazer and make your rig vaguely respectable. Don’t worry, you’re not in slacks territory yet, Grandpa Simpson. But as a man of a certain age who occasionally has to dress smartly, but not too smartly, for work or social events, you have a need for dressier alternatives to jeans, such as chinos, corduroys and tailored trousers. Sweatpants don’t count. In the same way that you reserved tailoring for professional or special occasions in your twenties, so (black) shoes were restricted to the office or the (bad) club. But then comes the advent of smart-casual invitations in your thirties. “If you’re looking to sharpen up, then one of the simplest switches is quality leather shoes or boots for your Nikes,” says Kemp. Brogues, Derbies, loafers and desert boots are solid footings. You don’t need a mechanical timepiece to be stylish – but there are needs and there are wants. Besides, why deny yourself this traditional coming-of-age signifier, and one of the precious few items of male jewellery? Tell your significant other that it’s an investment – which it will be if you buy astutely. Yes, the male model could probably flex in Mugatu from Zoolander’s Derelicte collection and still look good. But while David Gandy is a regular on the Fashion Week front row, the classically stylish 37-year-old lets the latest trends pass him by. And it’s because he resists the temptation to cram his beef into skinny cuts (or moisturise with fence stain) that the Essex exile doesn’t resemble a character from TOWIE. Giving red carpet appearances almost as award-winning as his on-screen performances, Eddie Redmayne has cracked the theory of how to look good in everything. It’s not astrophysics: the 35-year-old actor simply wears tailoring that complements his slim build but doesn’t exaggerate it, injecting colour or pattern via fabric or accessories instead of going full-on Jared Leto. Whether his suit is prefixed by track- or not, ‘Fedex’ delivers off the court as reliably as he does on it. Consistently classy, the all-time record-holding father of four also manages to sport athleisure without looking like mutton dressed as lamb, or a manchild. The collection that he designs for Nike also ticks all the right boxes: muted colours and dialled-down logos. The Gos does what all stylish men in their thirties should do: find a style and stick to it. Off-duty, he’s all about high-quality basics: white T-shirts, denim, worker boots, bomber jackets (scorpion embroidery optional). And on the red carpet, he keeps the tailoring well cut and adds interest by experimenting with colour. Note the grooming, too: he hasn’t changed his hairstyle in years. To be fair, why would he? A man who never seems to take a misstep, Legend is rarely off-point because he’s rarely off-message. 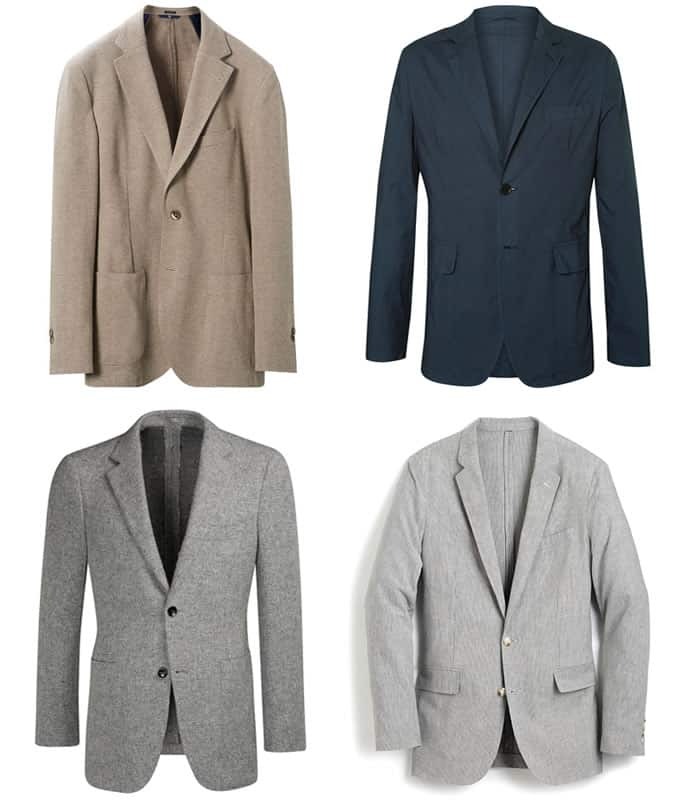 His style is consistent: he likes monochrome, muted patterns and relaxed (but still tailored – always tailored) suiting. The man loves a varsity jacket, too – a good example of how and why your thirties needn’t mean resigning yourself to middle-age. “At this age, you’re looking to grow and improve your wardrobe with every new purchase, not change it completely,” says Kemp. Re-up on your staples, upgrade where possible and sprinkle in some hero pieces – just in time to have kids, after which you’ll never be able to afford to buy clothes ever again. “Age tends to have a positive effect on your income, but a negative impact on how much time you have to spend it,” says Kemp. That isn’t a problem though if you eschew trawling for trends online in favour of one-clicking on your go-to staples. We say ‘go-to’ but really, your shopping should come to you. “You’re never too old for anything until you wonder whether you are,” says Kemp. “As a rule, sub-cultures – dandy, athleisure, skater – move fast, but silhouettes stick around. Make something your trademark now and you can stay on trend for a decade.” It’s always easier to keep it than get it back. Swerving trends doesn’t just apply to clothes. If you still have hair, then you’ll have grasped that, thinning or greying aside, it doesn’t change much, and neither does your head or face shape. Find a hairstyle that suits both (ask a good barber), then stick to it (and the good barber) like firm-hold gel. The Coolest Things To Do In Ibiza In 2019 Don't do the same clubs as everybody else, see the real thing The Best Arm Workouts To Fill Your T-Shirt Sleeves Want big arms? Here's the quickest way to get them Football Casuals: How To Wear Terrace Fashion Want to know how hype sportswear really began?